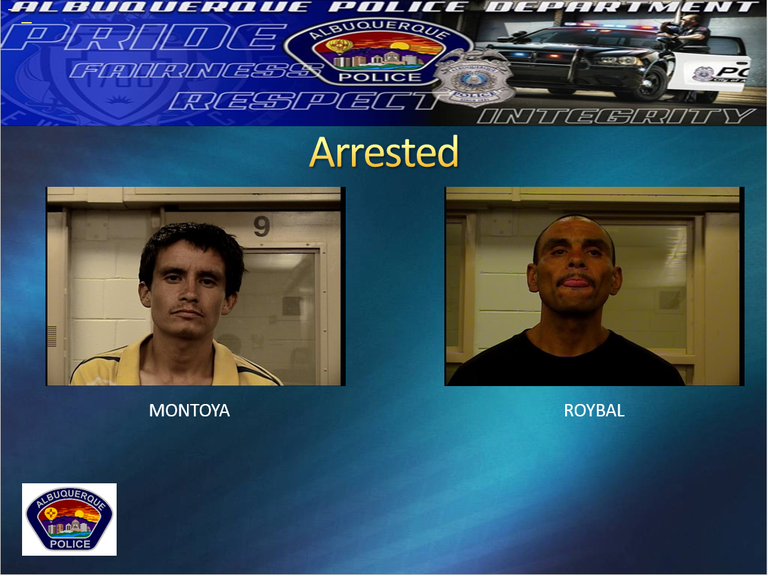 David Montoya and Enrique Roybal were both arrested by police for incidents involving a bait vehicle. David Montoya, 29, was arrested for Auto Burglary and Enrique Roybal, 41, was arrested for Auto Theft on the same bait vehicle in the same night. On 07/11/2017, the Albuquerque Police Department Auto Theft Unit was working a bait operation in the area of 200 2nd St as part of a downtown initiative to reduce crime in the downtown area. The Auto Theft unit had a city owned vehicle parked in the area and at about 12:08 a.m. David Montoya was observed entering the vehicle. Montoya rummaged through the vehicle and took items from inside. Detectives were able to follow Montoya to his residence where he was taken into custody and the items were recovered. Montoya has been arrested 3 times in the last 6 months for auto burglaries he has been connected to. Later that night at about 3:00 a.m. Enrique Roybal was observed entering the same city owned vehicle. Roybal was observed in the drivers seat and eventually stole the city owned vehicle. Roybal was followed to the 1500 block of Bell Rd where he was taken into custody with the assistance of Bernalillo County Sheriffs Office. Roybal has a past history with auto theft and was released from jail after serving an 18 year sentence for auto theft. Roybal is now being charged on his 3rd auto theft offense. We want to thank the Bernalillo County Sheriffs Office for the their continued partnership in cracking down on crime in Albuquerque and for their assistance in this arrest.